In 2017, SDOT realized a need to alert neighborhood drivers and parents to the presence of young students in the area traveling to and from school. They looked to us to develop messaging and creative that would alert residents to children in proximity to new and existing schools. 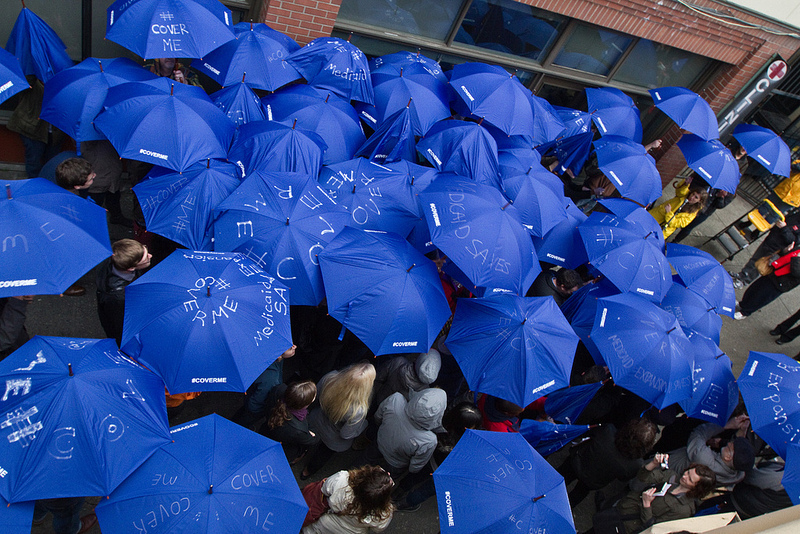 We were tasked with creating and branding and entire campaign and media strategy to execute this message. Soapbox pitched a few different ideas to SDOT, and together we landed on the critter campaign. To get drivers to slow down and be alert when driving near newly opened Middle schools, we created an array of deliverables, including illustrated and eye-catching creative print and out-of-home collateral, paid media buy, social media, direct mail, and community outreach events. These events promoted education on safe routes to school for middle and elementary schoolers who walk or bike to class. 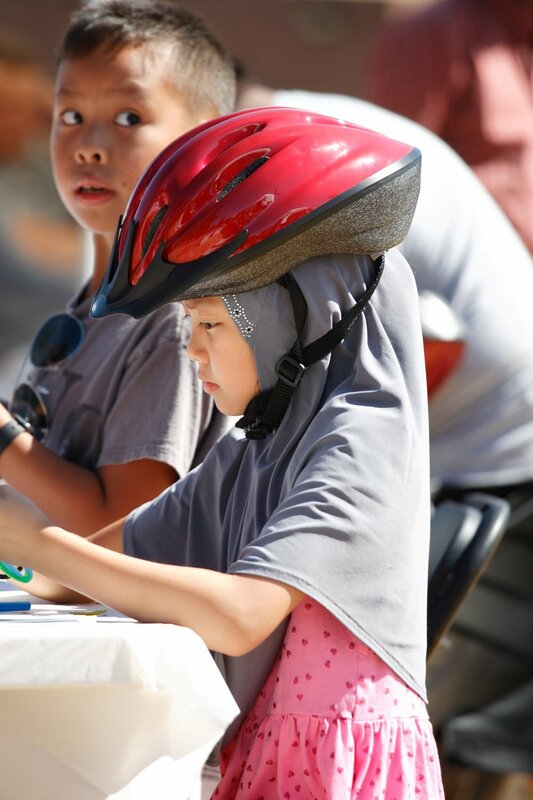 We gave away helmets, serviced broken bicycles, hosted scavenger hunts and taught kids their safest travel routes. The results of our campaign was more wide-spread awareness of children traveling in new school zones. We had a successful social media spread, with graphics still in use around Seattle. SDOT has asked us to develop another campaign expanding on elementary student safety with an emphasis on cross-walk awareness for 2018. In May of 2015, the City of Seattle’s Office of Emergency Management asked us to develop a multi-dimensional campaign for Seattle's new emergency notification system, AlertSeattle. Tasked with developing the branding, messaging, collateral, earned media, media strategy and an introduction video for the program, we worked under a tight deadline to launch this vital safety project. Soapbox developed a logo, tagline and established branding guidelines – ensuring that messaging was clear and could be easily translated for non-English speakers, as well as conveyed a sense of urgency and emergency. Team Soapbox also produced an informational video that aired on KING 5 (both a 15- and 30-second video), social media, and the AlertSeattle website. Once the media buy plan was developed, Soapbox worked rapidly to execute the buy from outdoor placements to negotiating bundles to producing web ads. All ads were monitored to ensure they were running as placed. For social media and AdWords, Soapbox performed A/B testing and monitored results, adjusting audiences, keywords and creative as needed for best results in the limited timeframe. From there, we set forth with designing several marketing assets for AlertSeattle – everything from large-scale print materials like banners, posters and billboards, to web graphics and social media buttons, to informational flyers that were translated into 14 different languages. Much of this material focused on informational and instructional visuals with simple graphics, to make the campaign easily-digestible. Alert Seattle successfully launched on August 4th and by year-end had met and exceeded the original registration goal of 6,000. By the end of 2015, the Office of Emergency Management recorded more than 17,000 individuals had registered for AlertSeattle. The graphics we created are still used by the City of Seattle and our informational flyers are available at public libraries and community events on preparedness. The Northwest School, an independent day and boarding school located in Seattle, reached out to Team Soapbox for support with their annual student admissions communications. In previous years, The Northwest School had filmed short video interviews with current students as a resource for prospective students and their families to understand the school’s education model and unique community. For a new round of videos, in the run-up to new student admissions, Northwest wanted to hone in on aspects of their school community, academics and values that could be more clearly communicated through student stories. 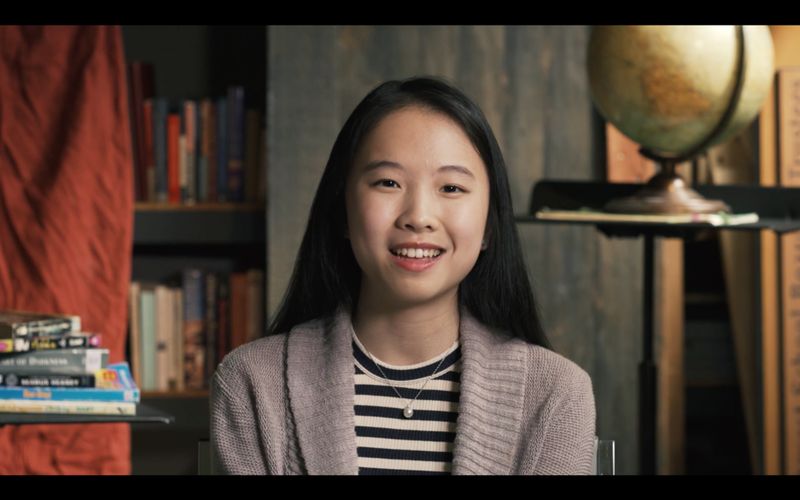 Our job was to utilize the organization’s brand and style guide to improve the visual presentation of their student voices in a suite of new videos, and match students’ enthusiasms with the school’s key messages for prospective families. Team Soapbox worked closely with the Northwest communications team to identify the issues that would be most important to new students and families considering applying for admissions. We worked together to outline the school’s areas of strengths, and examples of where their unique approach to secondary education really stood out (for example, the Northwest Environment program that paired students across grade levels to maintain school buildings, building care for their shared community). Based on this initial message development work, the school identified potential students for video interviews. Team Soapbox then connected directly with each student and their parents, through preparatory Q&A sessions, to uncover what each student was most passionate about, and prep individualized interview questions designed to match student enthusiasms with key message points. On the days of filming, this prep work really paid off during the interview process. Team Soapbox was able to construct and art direct background sets (on site at the school) for each interview, to subtly reinforce the student and the school’s areas of interest, and strength. Children were less nervous on camera, because they’d had a chance to think and prepare before filming. And useful video soundbites were easier to capture, because student stories had already been matched with school’s areas of excellence. Team Soapbox edited and prepared a final suite of student video vignettes, incorporating existing b-roll that the school had filmed of classes, events and athletics alongside interview footage. The final videos created a diverse, energetic and compelling portrait of The Northwest School’s academic community. Northwest students appeared as the confident and impressive young people they are, and the school’s range of academics, extracurriculars and values really shone through in each vignette. The videos were embedded on The Northwest School website during admissions season and feedback from faculty and parents has been very positive. 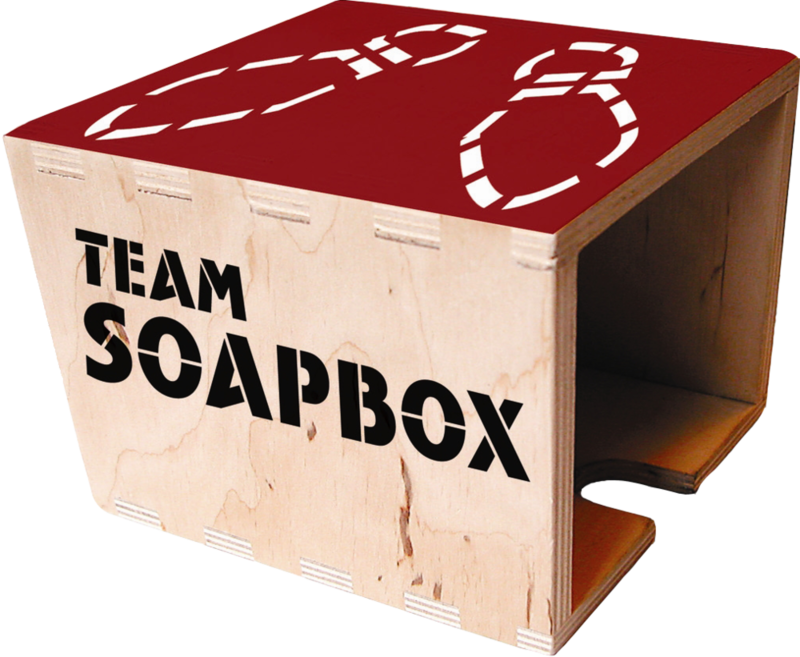 Team Soapbox was re-hired by the school to produce and develop a new video in Fall 2017, in support of a fundraising campaign. MomsRising mobilizes Washington families to ensure the state legislature makes critical investments in early learning programs, a fundamental part of our education system and our children's academic development. So why not put smiles on legislator’s faces at the same time? Team Soapbox was enlisted to develop a media and event strategy during Washington State’s legislative sessions to remind legislators not to cut early learning and care for our children when balancing the budget in Olympia. The theme of the event was Building Blocks of Early Learning and we made sure we captured the fun, whimsical but serious side of MomsRising but also conveyed the seriousness of the importance of high-quality early learning and affordable child care. 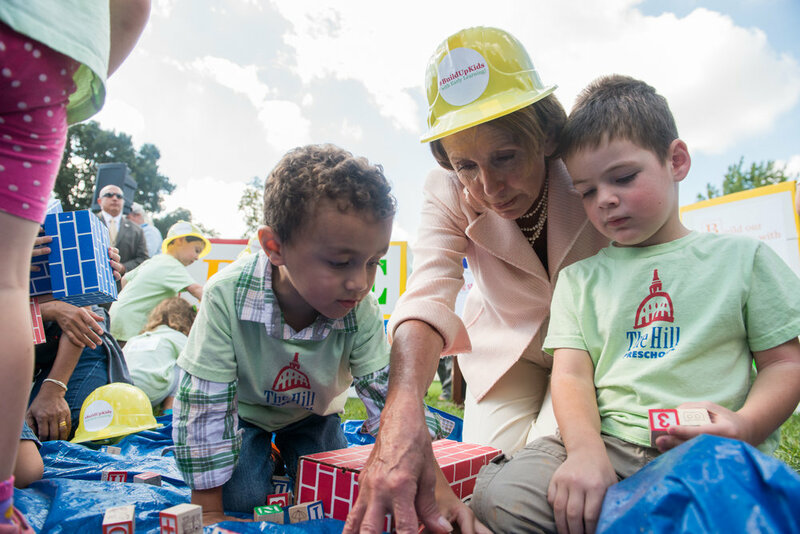 Fitting the theme of the event, we orchestrated the creation of large two-foot tall alphabet blocks that spelled out key words and phrases related to early learning and managed the logistics for an event occurring on the grounds of the U.S. Capitol Building. Critical to the event was securing legislative and education leaders. Working in collaboration with MomsRising, Team Soapbox helped managed outreach and invitations to legislative and national leaders, securing: Secretary of Education Arne Duncan, House Minority Leader Representative Nancy Pelosi (D-CA), Senator Orrin Hatch (R-UT), Senator Kirsten Gillibrand (D-NY), Representative Katherine Clark (D-MA), Representative Rosa DeLauro (D-CT), Representative Donna Edwards (D-MD), Representative George Miller (D-CA), Representative Jared Polis (D-CO, and Representative Debbie Wasserman Schultz (D-FL). National, local and social media was an integral part of the event. To ensure maximum coverage, Team Soapbox wrote and released the press release for the event and did one-on-one media relations outreach to national and local outlets. As a result, photographers and journalists from UPI, NBC, The Hill, Washington Examiner, Politico, AP Photo and PBS attended - stories and photos were published s in Politico, The Hill and UPI. Team Soapbox also ran point on social media, developing #BuildKidsUp which was used by legislators, legislative staff and the news media. Live tweeting and event photos were posted to Twitter, Facebook and Instagram the day of the event, resulting in more than 200 posts, a reach of 1.1 million, and over 2.1 million impressions. Specifically, Representative Nancy Pelosi’s tweet about the event was retweeted more than 100 times. Parking. Just about everyone deals with it and talks about it. 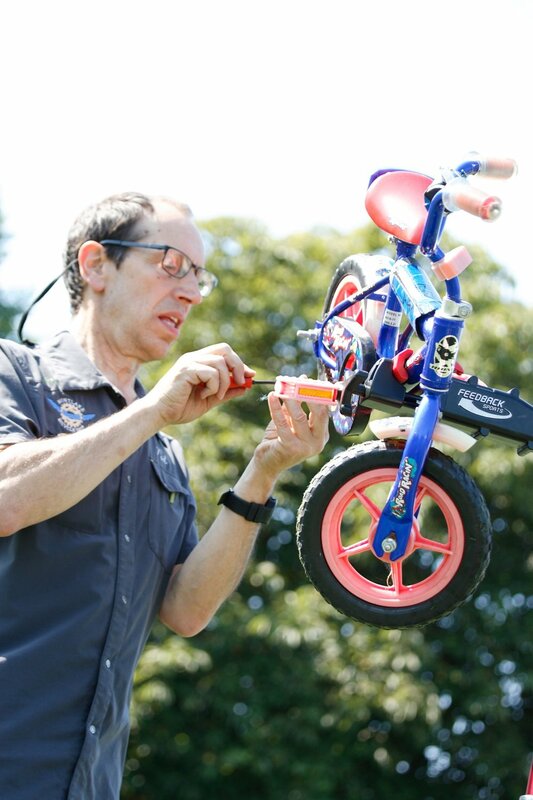 Team Soapbox was hired by the Seattle Department of Transportation (SDOT) to educate drivers about planned changes to on-street parking hours and rates in select neighborhoods around Seattle. Our challenge was to get drivers to pay attention before they get a parking ticket because they weren’t expecting the changes. SDOT charged Team Soapbox with developing a well-rounded and targeted public education campaign. Team Soapbox led the team that developed the visual concept and brand, messaging and tagline and created a multi-layered campaign that included a large advertising buy, production of a video that ran as a television ad and lives on the SDOT website, as well as community outreach and grassroots marketing. 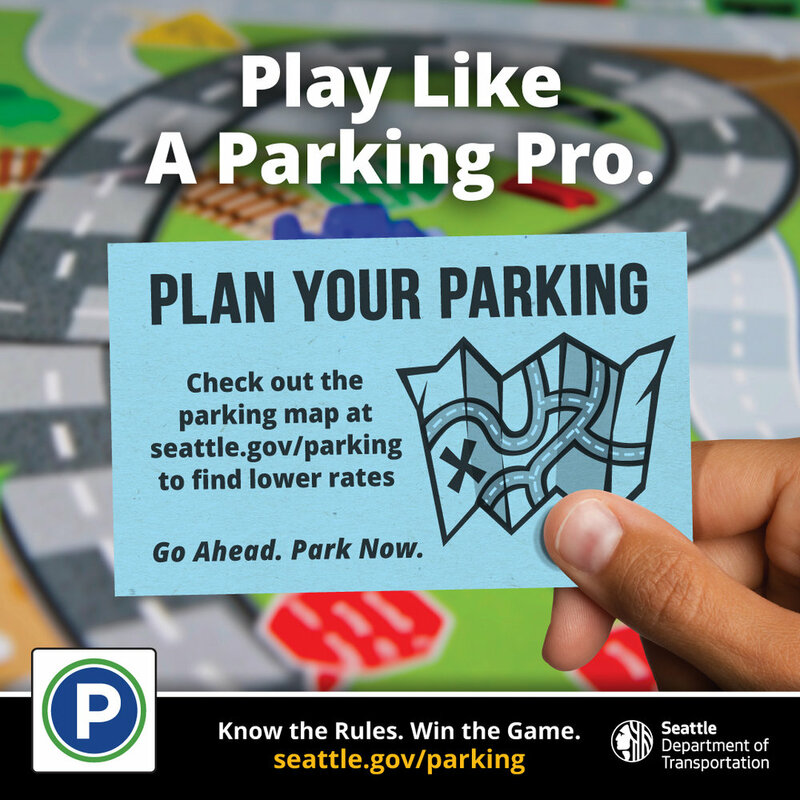 Playing off the notion that Seattleites like to be in the know, we created a theme related to knowing the rules of a game with a Monopoly-like graphic. Soapbox created three different graphics to be used in different areas of the city that would be seeing different changes, directing people to the SDOT parking website for more information about the changes. 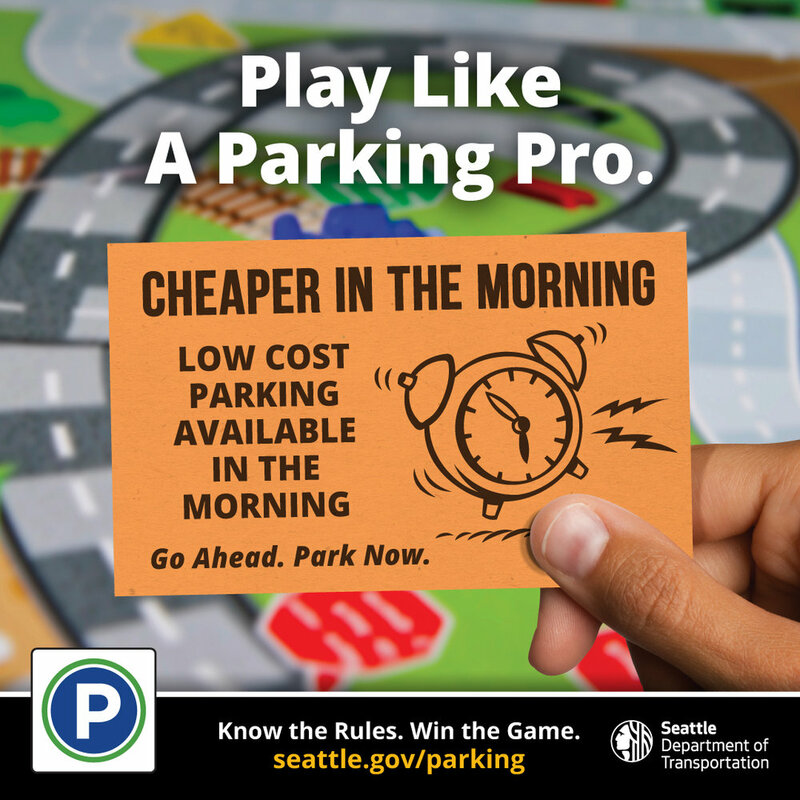 Additionally, to raise awareness of the parking changes, Soapbox coordinated and managed the placement of ads with more than 20 major print, radio television and ethnic media outlets in Seattle. We dispatched street team members to farmers' markets and the International District to hand out postcard describing the changes. We also distributed postcards to retail locations in all of the areas where hours and rates would be changing. Team Soapbox evaluated the success of the ads based on impressions, reach, and other metrics. We analyzed feedback received at community events and during street outreach, and feedback from retail locations. 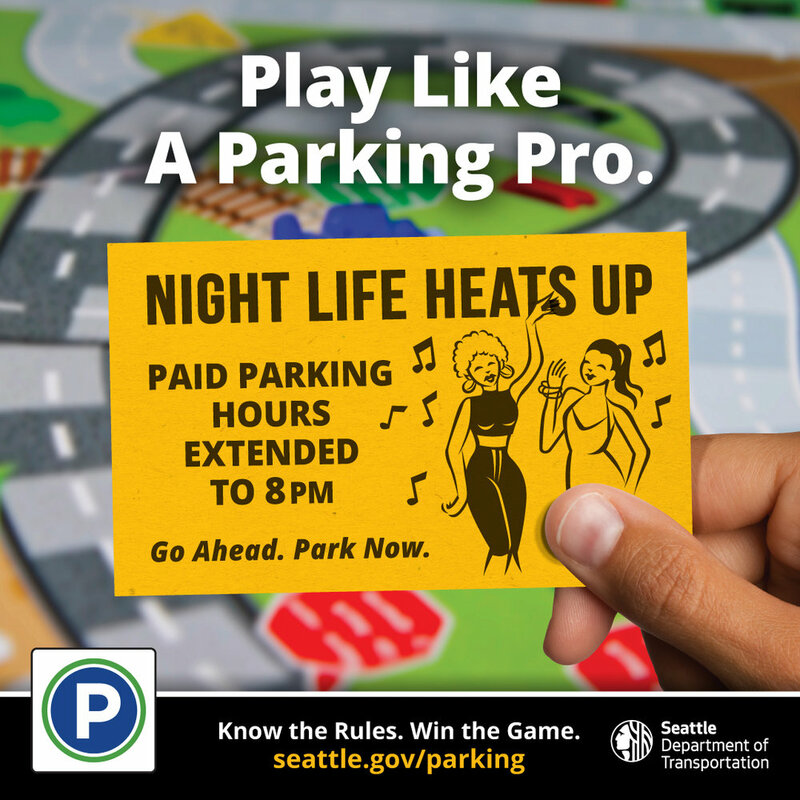 Additionally, SDOT received few complaints about the parking changes, which was an indication that people were getting the message and understanding the changes ahead of time. This campaign was recognized with a PRSA Certificate of Excellence in 2018. Washington State community health centers rely on funding from the capital budget to finance projects that impact community health. In 2017, the capital budget was delayed (as of this post, it still has not passed). Budget dollars in the capital budget was earmarked for funding to build and expand dental clinics across the state. The Community Health Network of Washington (CHNW) reached out to Team Soapbox to develop an earned media strategy to influence key legislators in passing the capital budget. At the outset, we launched into message development to develop consistent and compelling language about this issue. These messages would ultimately be woven into media pitches and stories, as well as shared with local spokespeople at community health centers across the state in order to tell a shared story of the statewide delay local impact. Working with our client, we identified the legislative districts that included key legislators that had influence over pushing the capital budget forward. Then we identified the media outlets in these districts we wanted to pitch, and strategized on the type of coverage we wanted to pursue - op-ed if there was a vocal local leader and the paper hadn’t run an op-ed on the issue, or feature story if there was an opportunity for photos and further detail on the clinic project. Then we began our outreach to reporters at our targeted outlets who have covered state budget or healthcare stories in the past. When we got a bite, we facilitated the interview between the outlet and the local community health center client, developed talking points, and liaised between our contact and the reporter. Communications efforts successfully engaged health centers to ensure that legislators heard the message about the importance of passing the state capital budget.We also made great strides in illustrating the benefit community health centers have on low-income populations. Stories were placed in The Seattle Times, the Federal Way Mirror, Ellensburg Record, Capitol Hill Times and segments ran on KOMO radio and KING-TV. Washington State schools are woefully understaffed. The Office of the Superintendent of Public Instruction hired Team Soapbox to develop and implement a marketing and communications campaign to recruit individuals to become K-12 teachers. With a focus on three distinct audiences - individuals earning a teaching degree, individuals with a teaching degree but no longer using it, and individuals seeking a new career - we went to work to determine how to communicate and encourage these people to consider a career in teaching in Washington state. The project included developing audience specific messaging, a campaign name, logo and brand identity, development and design of collateral materials, video production, social media management, recruitment fair materials, and website copy -- all of which was done in a short timeline of just five months. The work started with an intense period of research to fully understand what motivates individuals to choose the teaching profession. We reviewed existing campaigns (both nationally and within other states and districts) and conducted more than 30 stakeholder interviews with existing teachers, students in teacher preparation programs, college of education deans, school administrators and parents. This provided insight into the driving factors that cause people to consider a career in teaching and remain in the teaching profession. Furthermore, this research phase allowed us to identify core messages for each stakeholder group: young millennials considering a teaching degree, individuals with a teaching certificate but not currently using it, and individuals considering a career change. We developed a tagline “For the Love of…" which allowed for personal and authentic testimonial statements from real teachers to highlight the many reasons why someone would want to move to Washington State to teach (for example: "For the Love of Exploration", "For the Love of Aha Moments", "For the Love of The Future", etc.). We determined the campaign name ("Teach WA"), designed the logo, and created the design and copy of several print materials for job recruitment fairs (this included banners, brochures, folder, branded give-away items, and a style guide for website and print materials). We designed and coordinated the printing and delivery of all materials. In three short weeks, we interviewed over 25 teachers and secured 13 teachers for filming. We coordinated three filming dates and locations across Washington state - Seattle, Olympia and Kennewick, WA. In collaboration with our subcontractor, Remedy Pictures, Team Soapbox provided direction through the filming of the teachers and oversaw the editing and post-production elements of the video. 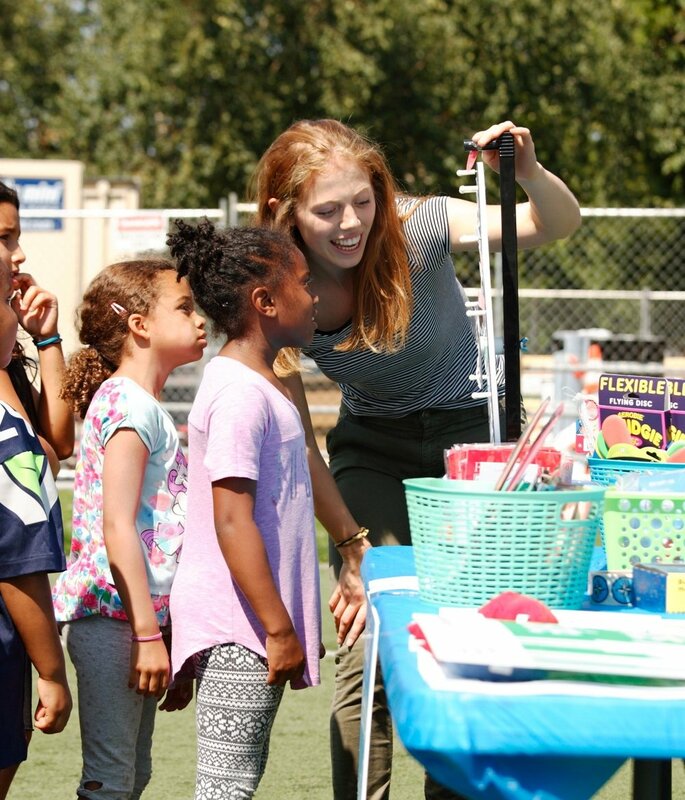 What resulted was four videos that emphasized the "For the Love of" campaign brand and were used to highlight the benefits of a teaching career in Washington State at job fairs, on social media, and on the Teach WA website. In conjunction with the video production, we launched a social media presence for the campaign on Facebook and Instagram — strategically selecting these platforms due to a desire to target the millennial generation. Team Soapbox developed an editorial calendar for each social platform, both creating and posting content regularly on the sites to reinforce the campaign brand and share information about how individuals can pursue a teaching career. To drive traffic to the social pages, we launched ad campaigns on both Facebook and Instagram, pushing the message that job openings for the 2017-2018 academic year are available. Team Soapbox’s strong project management resulted in successful project completion and creation of all deliverables within the rapid five month timeline. While it is too soon yet to determine the impact the campaign has had on recruiting new teachers into the Washington state teaching corps, we can share that the campaign generated a strong social media presence and left an impactful impression with job fair candidates at many Colleges of Education. Specifically, two weeks of our initial three month paid advertising campaign on social media resulted in the Teach Washington Facebook page generated over 1,000 likes and Instagram has had over 10,000 post engagements. And, at the end of our engagement on this campaign, there were more than 3,000 Facebook followers. This campaign was recognized with a PRSA Totem award in 2017, and the MARKETING Awards Bronze “M” and Big “M” in 2017.